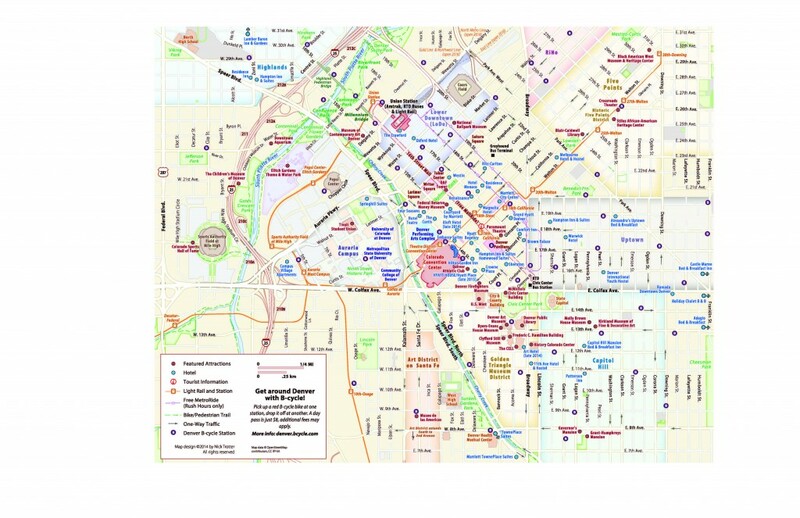 Click here for a recent article posted by British Broadcasting Corp.’s (BBC) about Denver. Denver, Colorado has 300 days of sunshine, a thriving cultural scene, diverse neighborhoods, and spectacular natural beauty. A young, active city at the base of the Colorado Rocky Mountains, Denver’s stunning architecture, award-winning dining and unparalleled views are all within the walking distance of the ASC’16 Conference venue, the Colorado Convention Center. Denver has an estmated population of 634,265 (the 23rd most populous city in the U.S.) while there are 2.7 million people in the metro area. Denver is near the mountains, not in them, but the mountains still dominate the city. The picturesque mountain panorama from Denver is 140 miles (225 km) long. The mountainous area of Colorado is six times the size of Switzerland, containing 9,600 miles (15,449 km) of fishing streams, 2,850 lakes, and more than 1,000 peaks two miles (3.2 km) high. Denver is nicked named the “Mile High City” as the 13th step on the west side of the Colorado State Capitol Building is exactly 5,280 feet above sea level – one mile high! The biggest surprise for visitors to Denver is the climate. The dry conditions bring only 8 to 15 inches of annual precipitation and there are more than 300 days of sunshine a year. 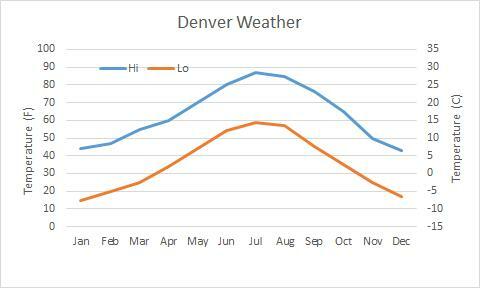 In the summer, Denver enjoys low relative humidity, making for beautiful, sun-filled days and cool, comfortable evenings. The average daily high temperature in the beginning of September is 83-86 degrees Fahrenheit. The mild weather is due in part to the city’s altitude. Don’t let anything you hear about the high altitude scare you. The air is just thinner and dryer. Just follow these simple tips and you will very likely not even notice the difference. With less water vapor in the air at this altitude, the sky really is bluer in Colorado. But there’s 25 percent less protection from the sun, so sunscreen is a must. It can feel much warmer than the actual temperature during the daytime, but then become very chilly after sundown, particularly in the Spring and Fall. It is best to layer your clothing. Click on map to open pdf file. 16th Street Mall – a mile-long pedestrian promenade with outdoor cafes and a free electrical shuttle busses stopping on every corner, making everything downtown easy to reach. Renowned architect I.M. Pei designed the gray and pink granite pathway to resemble the pattern of a diamondback rattlesnake. The Denver Pavilions – a triple deck shopping, retail and entertainment center located in the heart of downtown Denver on the 16th Street Mall. Civic Center Park – Bordered by the State Capitol, the City and County Building, and the Denver Art Museum, Civic Center Park is the centerpiece of Denver’s green space. The park blooms with 25,000 square feet of flower beds each summer and serves as a frequent event site. Denver Art Museum – located in the Civic Center the museum is one of the largest art museums between the West Coast and Chicago. It is known for its Native American art collection, Western art other collections of more than 68,000 diverse works from across the centuries and world. Larimer Square & LoDo – This restored Victorian section of Denver’s oldest street is filled with restaurants, boutiques and outdoor plaza. LoDo (Lower Downtown) is the historic district filled with brewpubs, music clubs and rooftop cafes.